Despite a commitment to advancing women, many employers in Canada and the United States are lacking the clear goals, measurements and accountability needed to drive progress, according to a new report. The Canada-U.S. Council for Advancement of Women Entrepreneurs and Business Leaders released its fifth and final pillar report in October. Too few North American companies are capitalizing on the opportunities presented by gender diversity, according to Advancing Women as Leaders in the Private Sector. The report aims to enact systematic change on behalf of working women, said Tina Lee, CEO of T&T Supermarkets in Toronto, and co-author of the report. “We know the important role women can play in today’s workforce, but also that there needs to be a business objective and plan to support their growth,” she said. 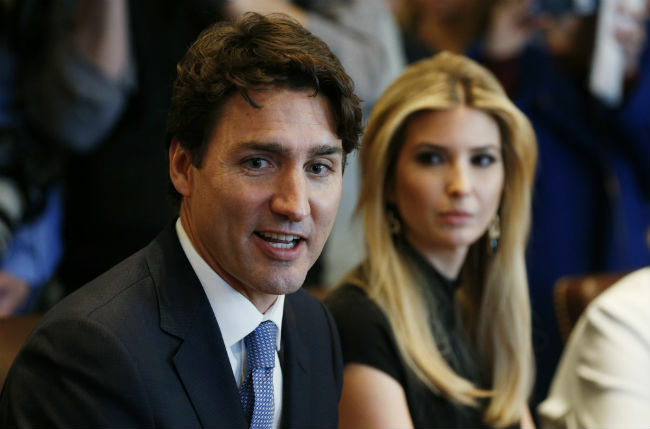 The 10-women council was created last February in a partnership between Prime Minister Justin Trudeau and U.S. President Donald Trump, with a mission to drive women’s participation, leadership and success in the workforce. The council has provided important recommendations on the work still left to do, said Trudeau. Under his leadership, Canada will continue to champion gender equality, said Trudeau, citing Budget 2018 as an example. The council’s final report includes insights gleaned from a survey of 400 HR professionals from Canada and the U.S.
Thirty-six per cent of Canadians surveyed indicated their company has a strategy to advance women to senior leadership roles, and yet 48 per cent do not have accurate data on the percentage of women at the management level. Additionally, only 39 per cent of Canadian companies have accurate data on gender pay differences. Companies with fewer than 500 workers are more effective than larger companies at advancing women at the manager level, and also have more committed CEOs, said Lee. The report provides a road map for business leaders to begin walking the talk, identifying five strategic elements to achieve gender diversity in leadership, said Lee. Strategies include: making gender diversity a business priority and leadership commitment; capturing data and measuring progress; holding leaders accountable; setting targets; and leveraging research to create action plans. Low commitment levels to gender equality have strong ramifications for corporate Canada, said Janice McDonald, founder of the Beacon Agency, a consulting agency in Ottawa. To achieve true change, female professionals require a senior leadership “champion” pushing their cause, she said. The gap in gender equality is real, said McDonald. And while progressive companies are making commitments, others continue to have “leaky” talent pipelines and can’t seem to pinpoint why. It is important for young female professionals to foresee pathways for career advancement through role models or senior mentors, said McDonald. But those in STEM (science, technology, engineering and math) roles are working in a “very male-dominated arena,” and effects of the #MeToo movement have left many men apprehensive to enter a mentoring relationship, according to Leigh Mitchell, president and founder of the Women in Biz Network in Toronto. “When these companies are so dominated by men, and men are afraid to mentor women to rise up in their leadership capabilities and progress on in the organization… it presents a challenge for women,” she said. Many are now seeking those opportunities outside of their organization, said Mitchell. For many organizations, “the light’s gone off,” said Mitchell, and it’s prompting them to act. While there have been some early tangible results stemming from the council’s work — including support from the federal government — there’s plenty of work still to be done, said Lee. Companies need to make this a business priority, and HR leaders need to commit to apply pressure on the C-suite to ensure changes are made, she said. HR should strive to ensure their organization is a “compassionate workplace” — supporting workers in areas such as chronic illness, flexible work policies and diverse leadership, said Mitchell. Employee assistance programming meant to help transition women back into the workforce following a maternity leave is an example of this, as is including employees away on leave in social functions, she said. Auditing your organization is a solid starting point on the path towards gender equality, according to McDonald. With a global talent crunch looming, HR would be wise to create a culture where workers want to be involved, she said. “Smart companies have already figured this out and they’re being very intentional,” said McDonald.